I hope you had a fabulous Memorial Day weekend. Welcome Summer! For us that means Simple Summer Suppers that are quick, easy, delicious, and don’t require turning on the oven to heat up the house. 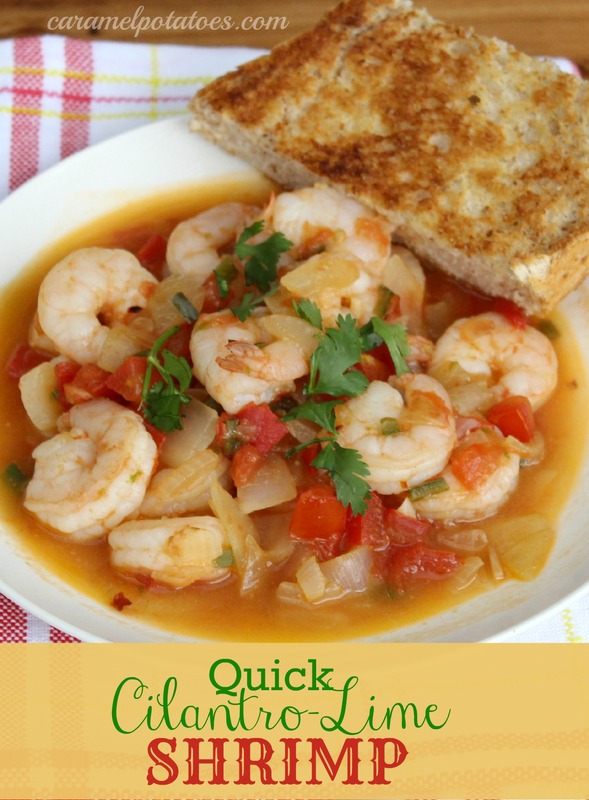 To kick things off, here is a recipe for Cilantro-Lime Shrimp we have recently come to enjoy – not only is fresh and flavorful, it takes less than 30 minutes to throw together. You can serve your shrimp with crusty bread or garlic bread to soak up all the delicious juice, or we like to serve it over rice. Melt the butter and olive oil in a large skillet over medium-high heat. Stir in the red pepper flakes. Cook the onion and jalapeno until tender, 2-3 minutes. Add the garlic and stir until fragrant but not browned, about 1 minute. Toss in the tomatoes and cook until the tomatoes begin to break down and release their juices, another 2-3 minutes. Add the chicken broth and bring to a simmer. Next add the shrimp, tossing until the shrimp turn pink and are cooked through but still tender- be careful not to overcook. Add the lime zest, lime juice, salt and pepper. Remove from heat and stir in cilantro. Serve immediately with crusty garlic bread or serve with rice.